For some Christmas hasn’t been the same since the last Only Fools and Horses Christmas special was broadcast in 2003. Now that ten years have passed with only repeats to satisfy the show’s many fans, news has arrived the much-loved show could be making a return. David Jason has revealed that a new script for the BBC comedy has been handed to him. The actor, who played Del Boy Trotter in sixty-three episodes of the hit comedy that was broadcast between 8th September 1981 and 25th December 2003, has described the script as “very good” and confirmed that if all’s well, the new episode could be on our screens in March. Before any filming can take place Jason will need to approve the script and agree to take part in the revived show. The new script isn’t the work of the show’s creator John Sullivan as he died of viral pneumonia in 2011, but it’s based on ideas he had for an episode centring on Del Boy’s 65th birthday. Sullivan has lots of ideas for the show’s return and his notes are being used as the basis for the new script which is being developed by his sons Jim and Dan. 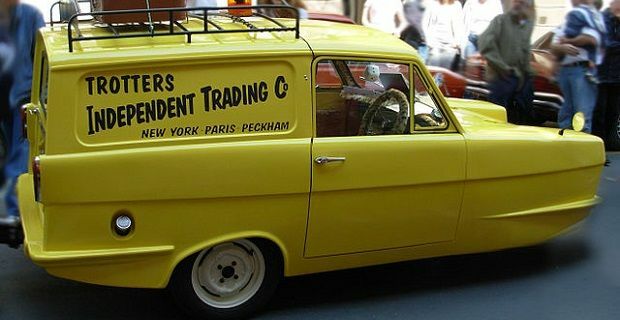 Last year, Jason revealed that he had heard of Sullivan’s plan to base an episode on Del Boy’s 65th birthday. "The idea of it was Del's 65th birthday," he said. "That was his premise. There was nothing else said. He just wanted to know what I felt. Well, I know Sullivan. I know how he wrote. I just said, 'John, you write it and I'll do it.' I know all of the rest of the team couldn't wait to get back." In an interview with The Times this year Jason said of the new script: “I've had a quick look at the treatment and it's very good, but I'm saving the proper read-through until there are no distractions. It's not the sort of thing you can muck about with." Let’s hope that if the new episode is commissioned that it lives up to the very high standards John Sullivan set for 22 years of writing one of Britain’s best loved sitcoms.